NASHVILLE, TN — The Gospel Heritage Foundation (GHF) will host the 2018 International Worship & Arts Summit February 22 – 24 2018 in Nashville TN. This anointed summit will feature all day and evening sessions that will be held at the Mt. Zion Baptist Church, located at 7594 Old Hickory Blvd., Nashville TN 37189. The two-day conference will include dynamic speakers, powerful teaching, and gospel artists from around the country. Day classes and panels will cover a range of topics from publishing and recorded music to leading corporate worship and leadership in music ministry. The nightly sessions will be led by a diverse panel of speakers. 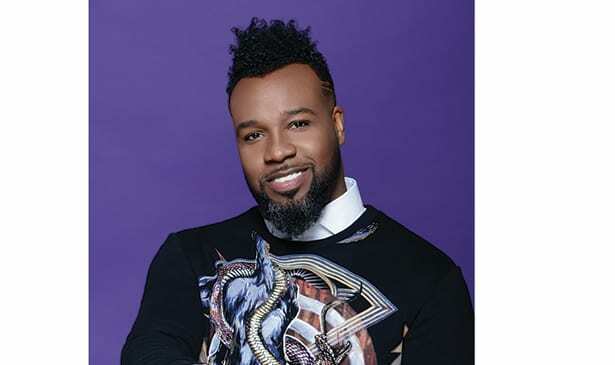 Award-winning singer, songwriter-producer VaShawn Mitchell, is now the new president of the Gospel Heritage Foundation. As this year’s host Mitchell will oversee the event, which includes a lineup of powerful speakers, anointed performers and honorees for the 2018 International Worship & Arts Summit. “In addition to the great music and outstanding speakers, those attending GHF can also expect to experience the education model for churches and artists alike. So, from praise and worship to the dance ministry and musicianship, and artist ministry – this event will bring them all together in one place to learn, develop, and inspire them to go back home to be better leaders in their own ministries,” says VaShawn, who is also Mt. Zion’s new General Overseer of Music & Worship Arts. This year, CeCe Winans and Byron Cage will be honored with The 2018 Heritage Award. The GHF nightly sessions will be led by a diverse panel of speakers including prolific writer Israel Houghton; pastor Jonathan Miller; conference host VaShawn Mitchell and recognized teacher and evangelist Dr. Jasmin Sculark (Dr. Jazz). Other special features at this must-attend conference include evening performances from top worship and gospel artists including Tasha Cobbs Leonard, Casey J, Anthony Brown, JJ Hairston and a host of others. Also, on the final day of the Summit, Mitchell will put together a unique “Worship Together” gathering, an acoustic worship encounter featuring both Gospel and CCM artists on one stage.